The Media Research Center had there annual DisHonors Awards presentations. This is were they roasted the most outrageously biased liberal reporters. They also did a tribute to the military. First they did a toast to the fallen. 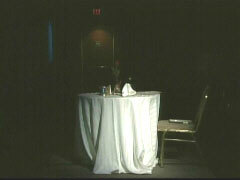 There table is pictured on the left. They then did a video tribute to the men and women in the military in Iran. If a tear don't come to your eye after watching it, then I guess there's no hope for you. Take a few minutes and watch both videos and remember the heroes in your prayers. You can watch the videos here Thank you. MO MONEY MO MONEY MO MONEY!! ITS TIME FOR A GOOD READ!